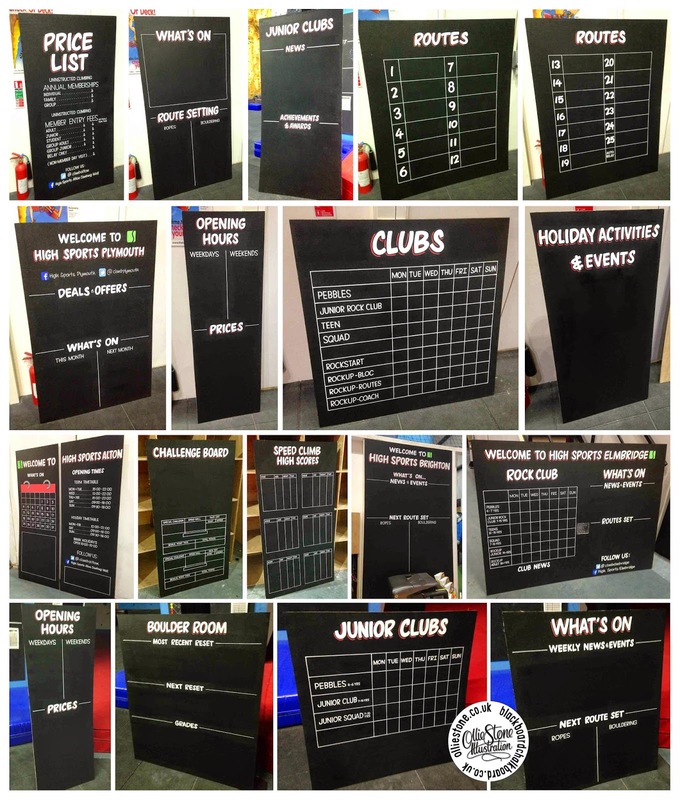 Blackboard art and sign writing. Pubs, restaurants, shops, cafes, climbing centres and more. 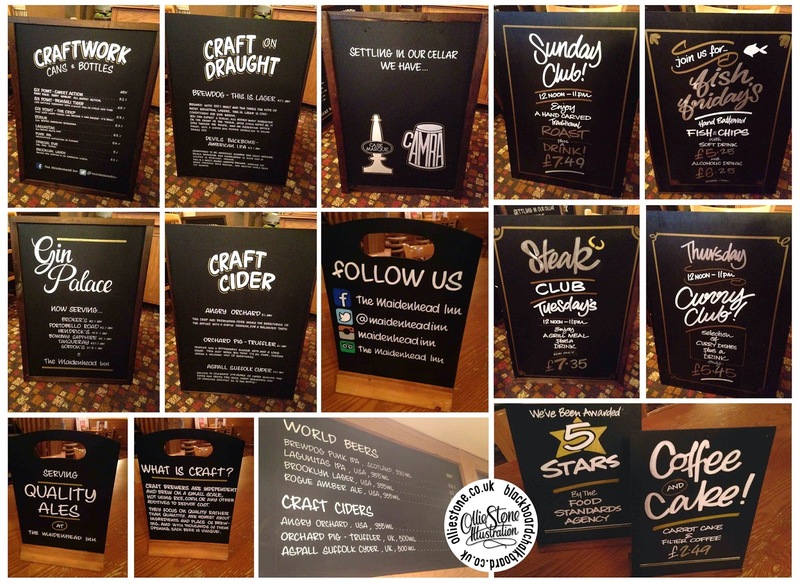 Chalkboards for JD Wetherspoon, Marston's and independent businesses. 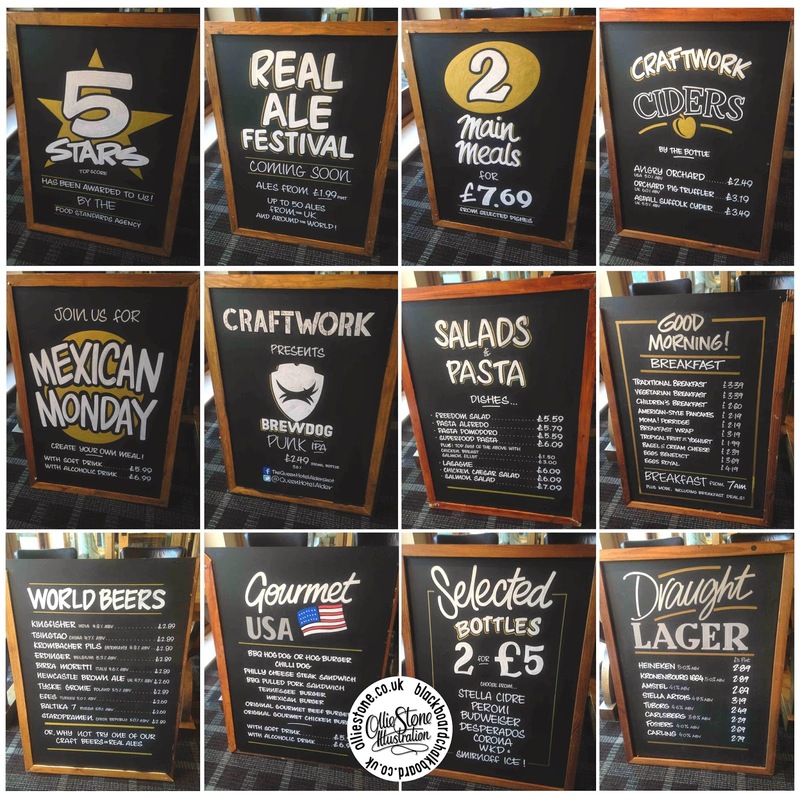 Large chalkboards for JD Wetherspoon, The Herbert Wells in Woking. 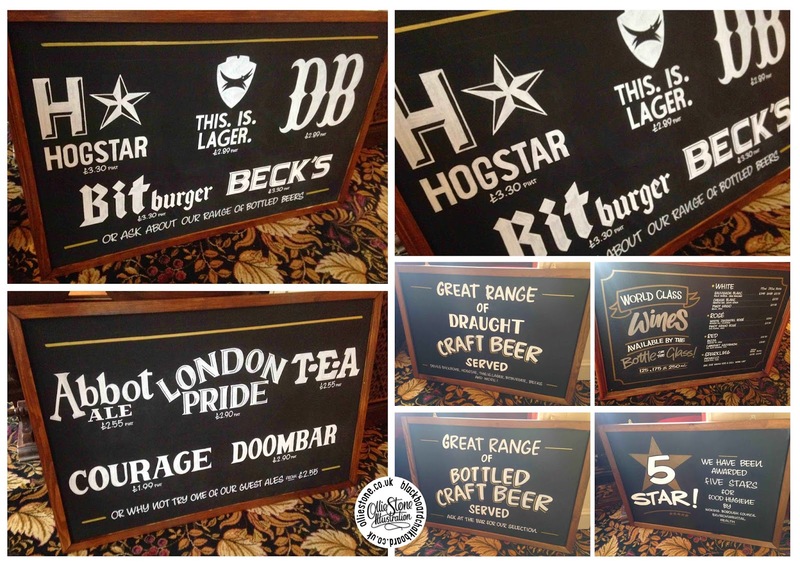 Assorted chalkboards for JD Wetherspoon, The Jack Phillips in Godalming. 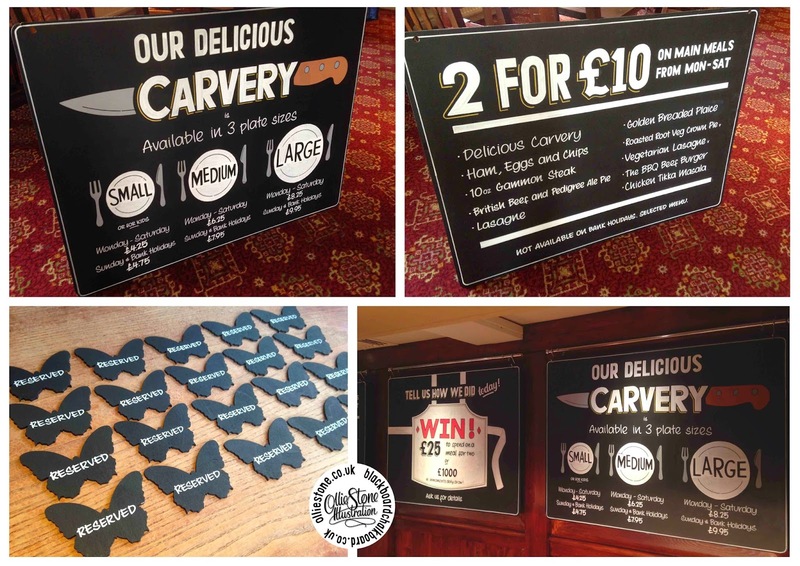 Assorted chalkboards for JD Wetherspoon, The Queen Hotel in Aldershot. 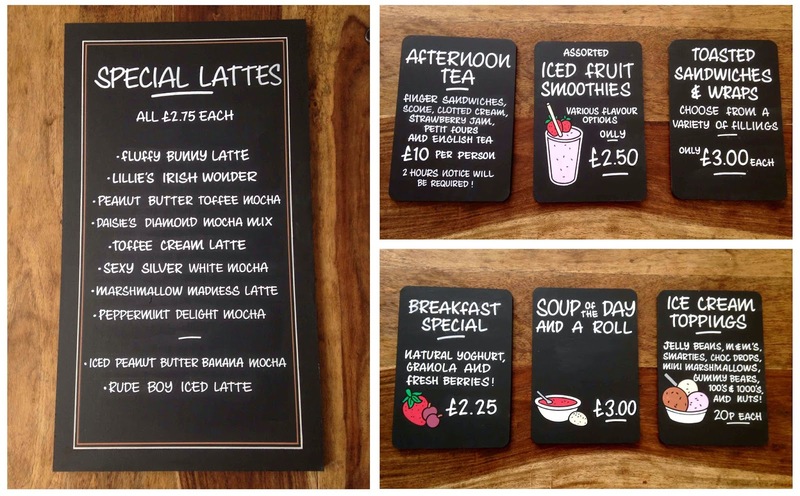 Various chalkboards for Pannisa Coffee Shop in Henfield. 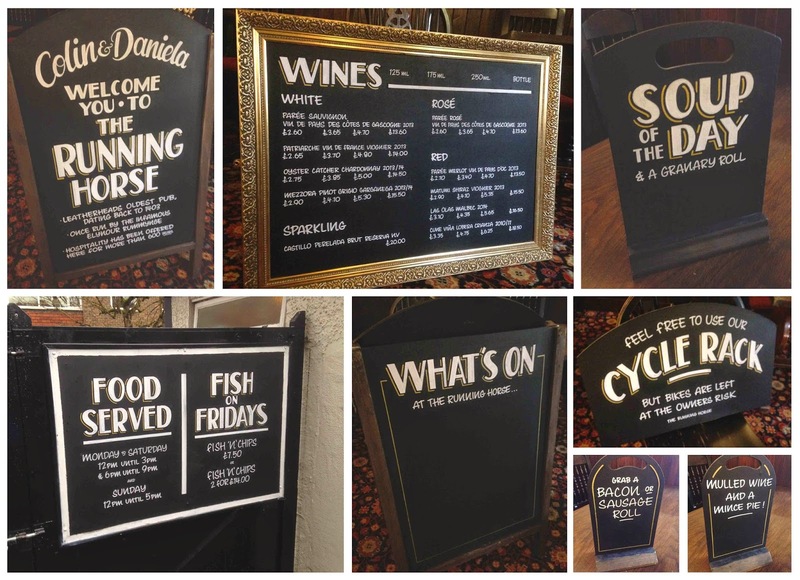 Various chalkboards for The Coach & Horses near Worthing. 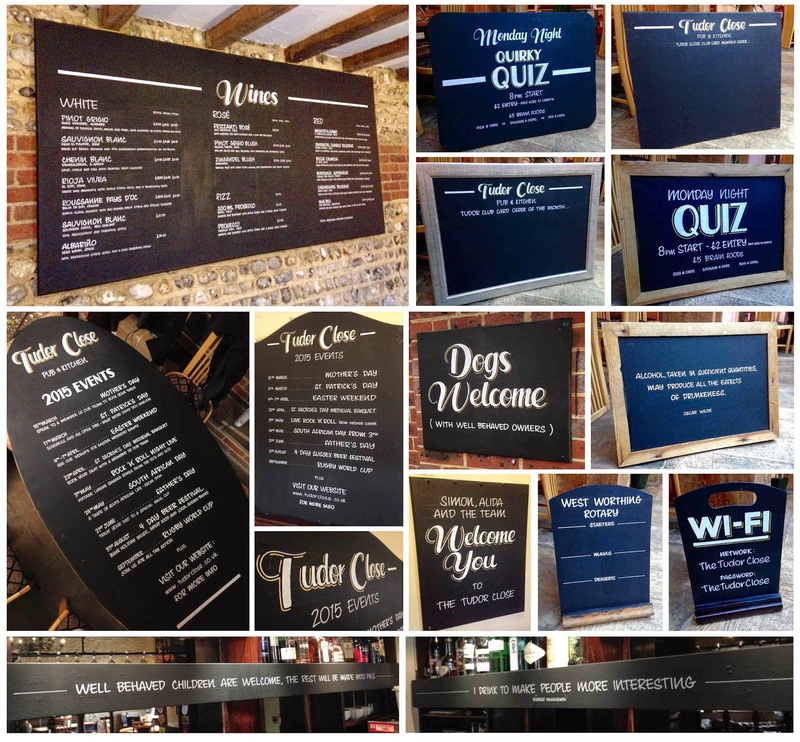 Various chalkboards for Marston's, The Holly Blue near Pevensey. Chalk art and drawings and stuff. 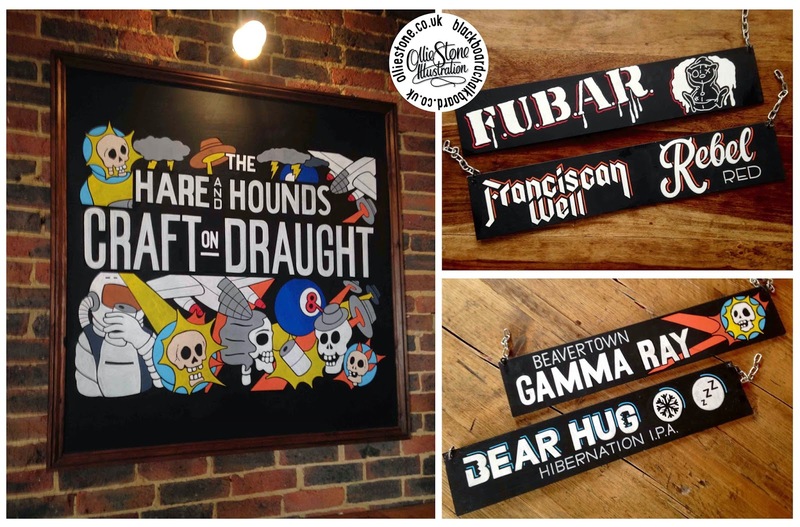 Craft beer and cartoon-inspired chalkboards for The Hare and Hounds, Brighton. 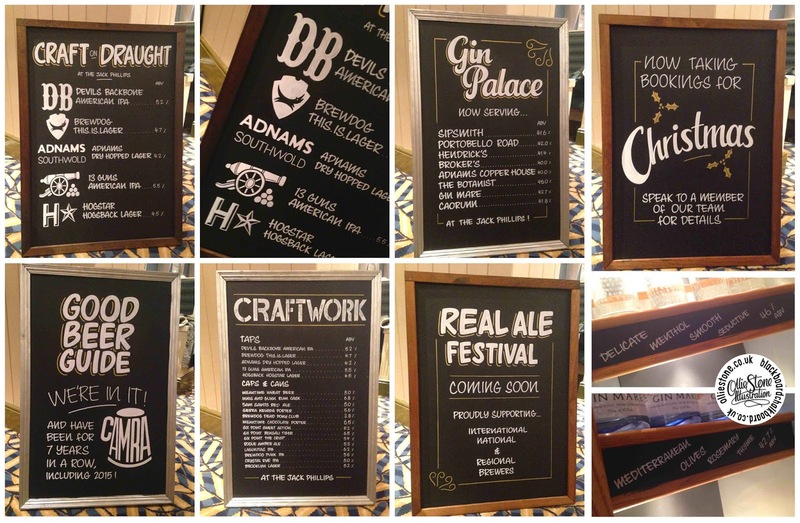 Assorted chalkboards and signage for JD Wetherspoon, The Maidenhead Inn, Basingstoke. 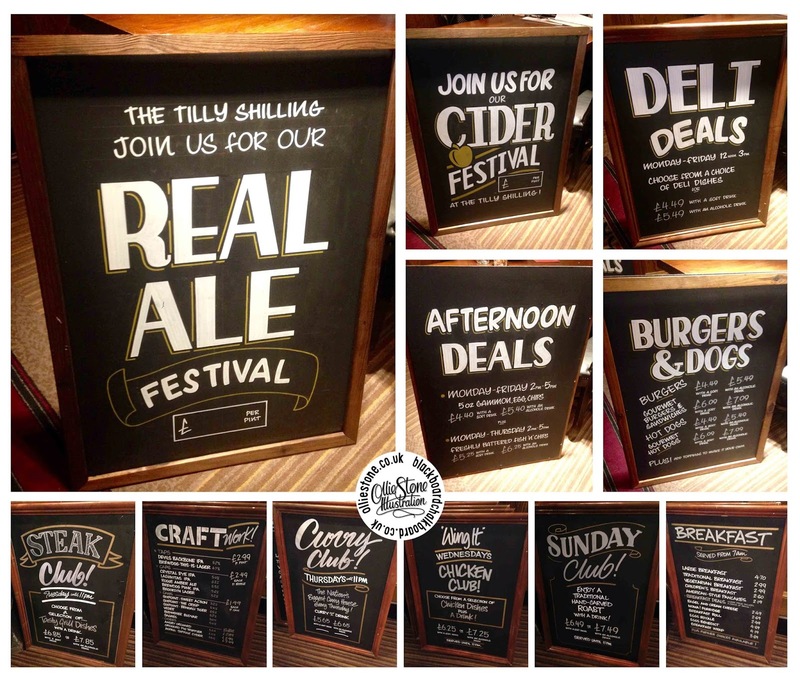 Pub chalkboard, blackboard art and sign writing. JD Wetherspoon, The Ivy House, Alton, Hampshire. 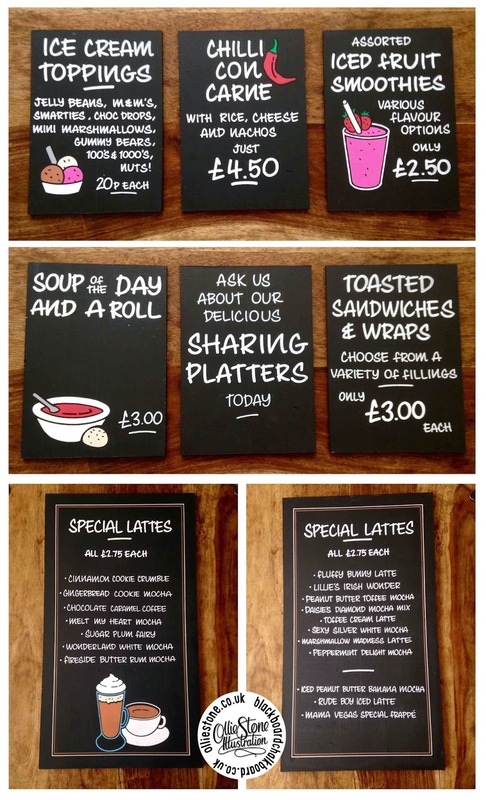 Pannisa Coffee Shop, Henfield/Southwick, Sussex. The Running Horse pub, Leatherhead, Surrey. The Tudor Close pub, Ferring, Sussex.